If you’re business needs a new home, Jafa Construction in Tauranga is the commercial builder for you. Our reliable and efficient team of builders have the experience and skills required to handle complete building projects from scratch, commercial renovations and even building conversions. Whether you need a whole new building, or you just need an upgrade to the current one, our experts will offer you the best advice and service available. We’ll come to your Tauranga, Mount Maunganui or Te Puke property and help you decide on the best option for your business. Contact our professional certified builders today, for friendly advice about your next project. 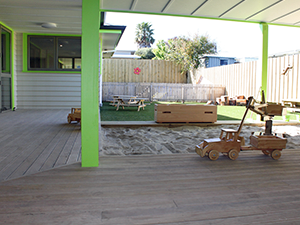 Jafa Construction are experienced in building and renovating childcare centres in the Tauranga area. 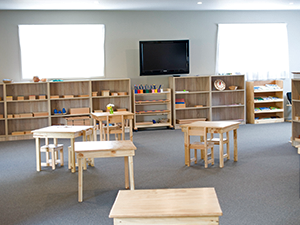 If you’re opening a new childcare centre, or looking for a new premises, our certified builders can help. We are well aware of all the council and ministry requirements – taking the stress out of the building process. Discuss your requirements with us and we’ll help you come up with a construction option to suit your business, your budget and your clients. some examples of previous successful Jafa Construction projects include a brand-new purpose-built Montessori, and converting an old house into a new pre-school. Our team are completely trustworthy, and capable of handling all your building needs, including driveways, car parks, painting and creating safe playgrounds for children. Jafa Construction are the best choice when it comes to refurbishing retirement homes. Our experienced and friendly team can project-manage the entire job, so you can relax and know your property is getting the best care possible. We also offer property maintenance, so you know your premises is always up to standard. From stripping out old interiors, to installing new kitchens and bathrooms, there is nothing our talented team can’t do. We will even handle the carpets, painting and management of sub-trades. Make sure your clients are enjoying the most modern and comfortable surroundings, by contacting our commercial building specialists today. For your next commercial construction, conversion, maintenance or renovation project in Tauranga, you need to speak to Jafa Construction. Our team of qualified professionals will create the perfect workplace for your business needs, you’re guaranteed to be satisfied with the professional and functional result. Contact Jafa Construction today for a free quote, or friendly advice from a commercial construction expert.